This badge was issued to Adrian Soeranto on 23 Dec 2018. IBM Automation helps our clients embrace automation technology to deliver better, faster, more securely and with higher quality. We enable clients to create superior customer experiences, control costs, and pursue new revenue models by leveraging intelligent, enterprise-wide automation. This badge earner possesses a foundational understanding of Automation solutions and offerings. This level of understanding enables the badge earner to identify automation opportunities. 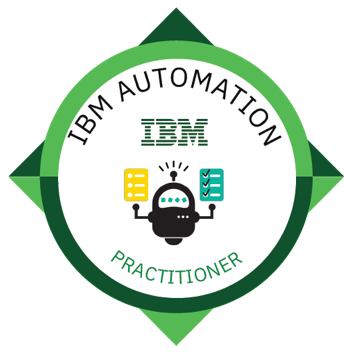 Completion the IBM Automation foundation education curriculum, and earned a minimum score of 80% in the quiz.